The case, in stainless steel, measures 42mm x 11.2mm. It has an AR-coated sapphire crystal, a sapphire display back, and it is water resistant to 100 meters. Movement is the Swiss automatic Piaget caliber 1160P (base Jaeger-LeCoultre) with 35 jewels, 28,800 vph and a power reserve of 50 hours. 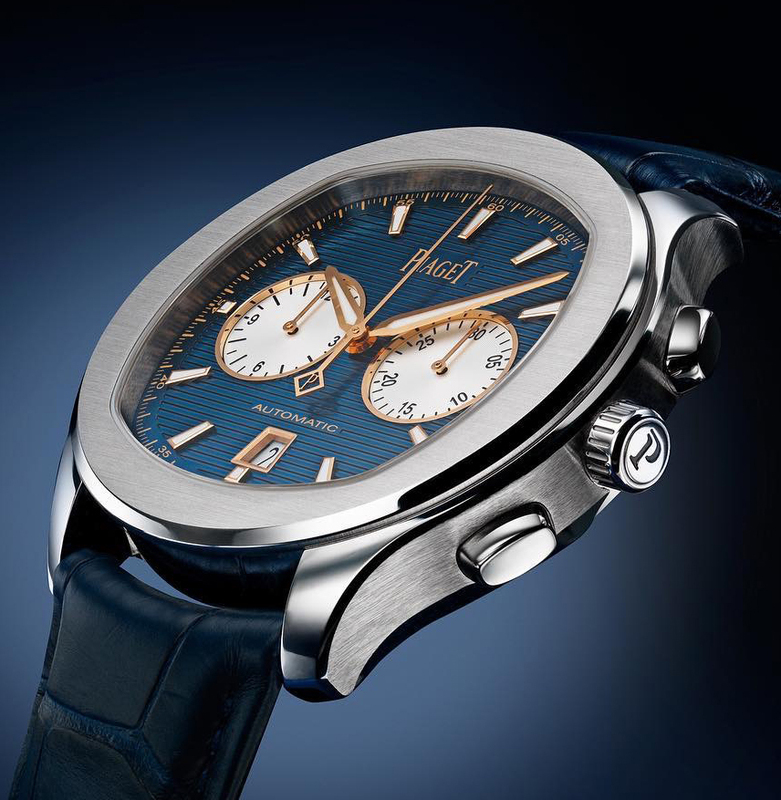 It features a blue rotor with engraved Piaget coat of arms. 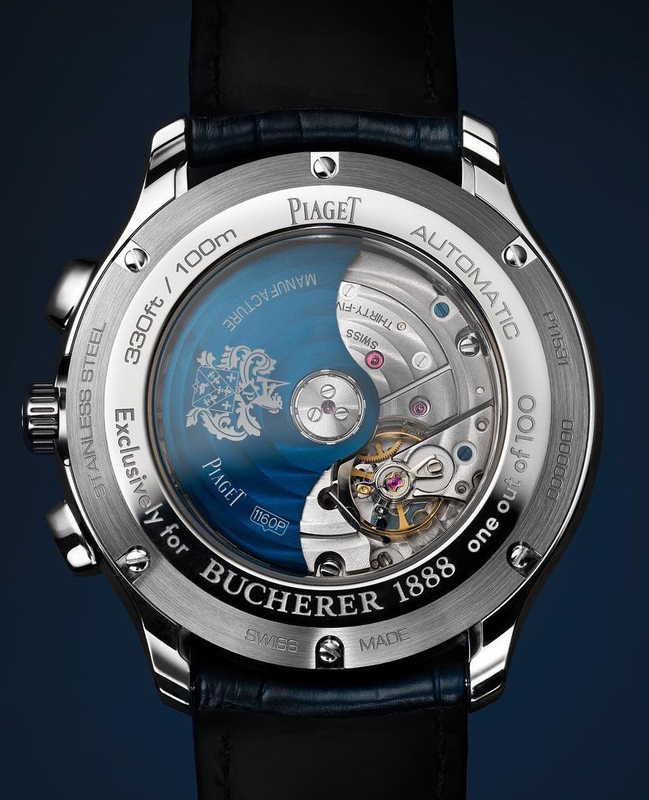 Finishing includes: Blued screws on bridges, blue rotor with circular Côtes de Genève, rotor engraved with the Piaget coat of arms. Circular-grained mainplate, and bevelled bridges. 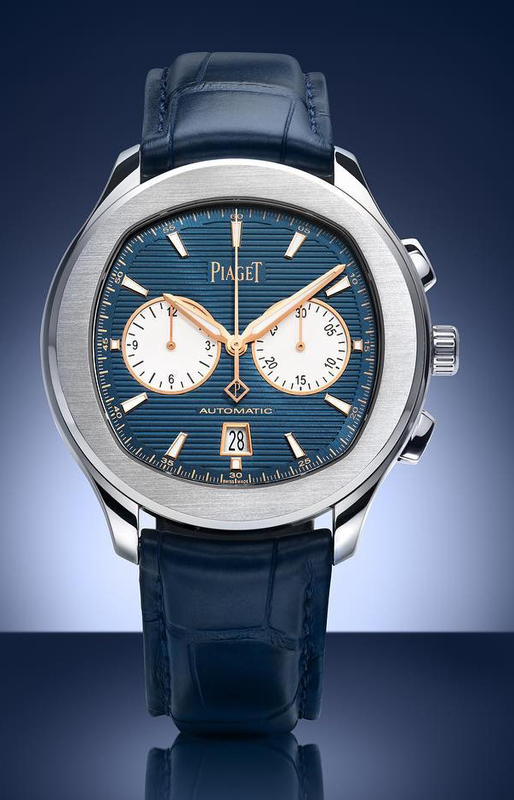 It has a dark blue guilloche dial with gilded luminous hands. 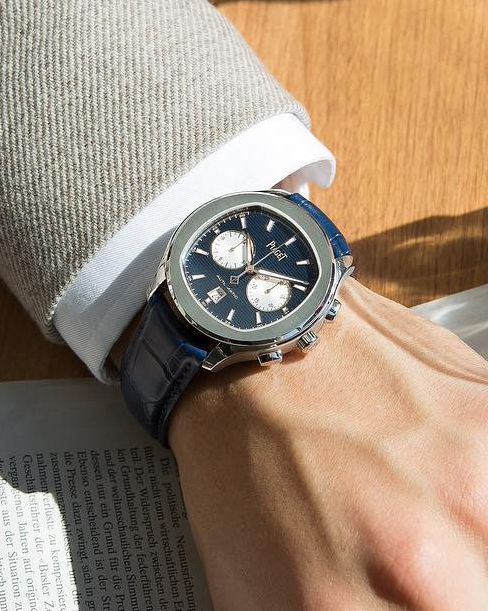 It comes on a blue alligator leather strap with a steel deployant. Previous Topic: Can you have more then one grail watch?